These 1/4" Thick Square Coasters/Mini Mouse Pad are the most popular coaster on the market and our #1 seller! Ideal for retail shops, promotional give aways and so much more. Our fabric top is made of a premium weight, bright white polyester material that doesn't have a noticeable weave pattern. Therefore, your image will show the highest resolution, yielding maximum details in your graphics, with richer colors and a smoother look. This produces a fantastic finished product that is sure to impress. 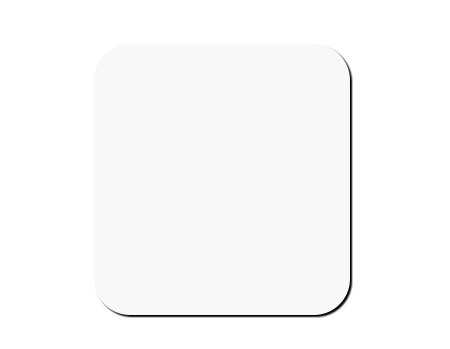 Our white surface coasters are ideal for sublimation & digital transfer printing. Our coasters can also be screen printed and all of our coasters have a high quality black natural rubber base (not foam). Click here for details about the quality of our commercial grade coasters.